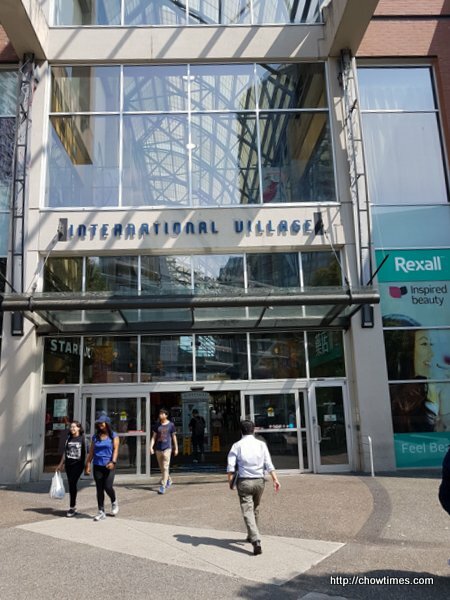 Ben and I was in downtown Vancouver for an appointment. We had parked our car in a free parking zone with 2 hours parking limit. We do not have enough time to eat in downtown as we had to make it back to our parking spot with only 30 minutes left. So, Ben decided to drive to Chinatown and eat in the International Village foodcourt. 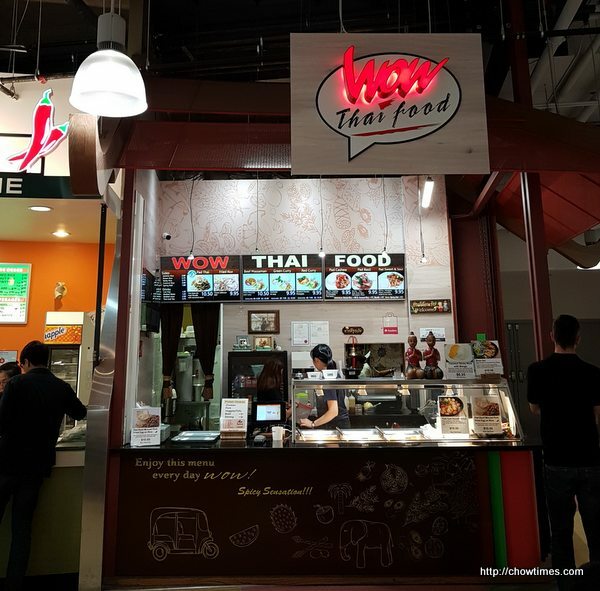 There are a Thai seat in restaurant and two Thai stalls in the foodcourt. 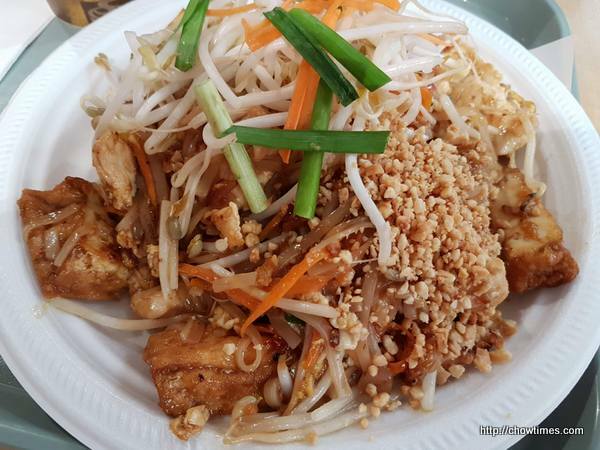 Ben picked the WOW Thai Food in the foodcourt as we just want to share a dish since we are not too hungry. 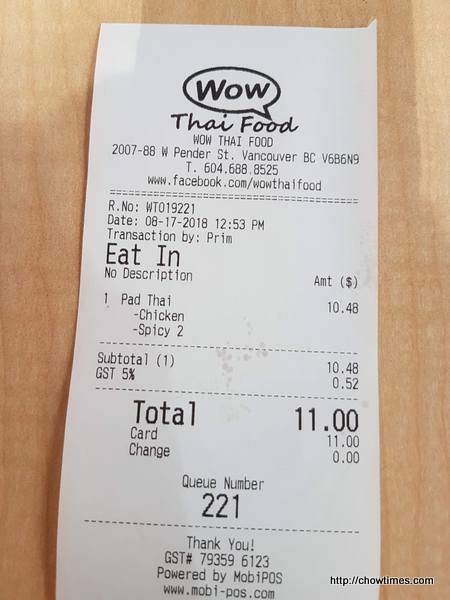 We ordered the Phad Thai to try. We opted chicken for the meat and had the spicy version. There were generous amount of chicken meat in it. It had a hint of tanginess and the noodles are slightly moist. We enjoyed it.